Many companies of today recognize the importance of maintaining production of oil and gas to meet the demands of customers while also keeping in mind that the production meets industry and government standards for environmental protection. It is important that in the course of production, however, downtime should always be minimized especially during the cleaning and testing process. As oil and gas undergoes different phases – from pre-development to exploration to production to decommissioning and reclamation – it is crucial that vacuum technologies will help meet company goals. At Airtech Vacuum Incorporated, we can install vacuum and blower technologies for the oil and gas industry. The oil and gas industry is dependent upon various vacuum and blower technologies for different purposes. There are technologies that will prevent the flaring of waste gas by recovering fuel gas. Crude tower vacuum technologies are also of great help when it comes to making sure that crude can be distilled to make them more useful. There are also those specific technologies that can help handle dirty and wet gas streams. Vacuum pumps and compressors will also be very helpful in additional oil and gas refinery applications. There are systems that work during vacuum filtration for solvent de-waxing, lubricant production, and wastewater treatment. There are also special technologies that are suited for vapor recovery in order to help eliminate waste, prevent contamination on the recovered product, and reduce the pump size. There are also vacuum systems that are proven helpful for a wide array of offshore and upstream applications. Why Choose Airtech Vacuum Incorporated For Oil & Gas? Airtech Vacuum Incorporated was founded in 1982 and since then we have been manufacturing a wide array of vacuum and blower technologies, including variable speed blowers, liquid ring vacuum pumps, oil-less vacuum pumps, and more. We have with us a dedicated team of workers who work tirelessly on each product in order to deliver unparalleled technology to our customers. We have easily operable and installable technologies for the oil and gas industries. Since we have been certified by ISO, CSA, CE, UL and RoHS, you will have total peace of mind purchasing vacuum and blower systems for your industry’s needs. We also rely on the help of our knowledgeable engineers who are always ready to analyze your unique situation and match the best pressure-based and vacuum technologies with your needs. 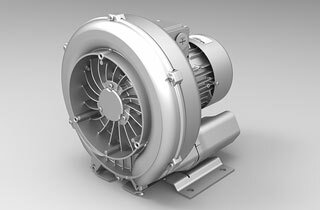 Whether you need to get a blower with magnetic drive or one that is nickel-plated, Airtech has got your back. We take pride in our work and the care we give for every order. That’s why our products are available at the most competitive rates. Airtech strives to make your shopping experience the best it can be. Experience that by browsing through our inventory today and source for top-notch oil and gas vacuum and pressure products with exceptional ease!